That is exactly the yardstick to determine who will enjoy the film and who will hate it. Does that image -- actually in the movie, and exactly as it sounds -- have you rolling on the floor? You are in for a treat. Are you grinding your teeth? Leave now. The movie briefly looks at the past of Dracula -- played by Adam Sandler -- and his encounter with monster hunter Abraham Van Helsing (Jim Gaffigan) to establish the basis of the bad blood between the two. In present day, Dracula and his family -- daughter Mavis played by Selena Gomez, her husband Johnny by Andy Samberg, his grandson Dennis played by Asher Blinkoff -- decide to leave for a family vacation on a cruise. Along the way, Dracula “zings” -- a monster term for falling in love at first sight -- with human captain Ericka (Kathryn Hahn), who hides a dark secret. The plot is one-dimensional and the message is predictable. There is almost no point talking about the character development as there is hardly any. Dracula, Mavis, the rest of the gang -- all are exactly as they seem. But plot and development were never going to be the forte of the film. The animation is good, Sandler as Dracula sounds pretty funny and the characters and backgrounds are well-designed. It is an animated film that looks good and focuses on just being funny, with no intention to be deep. It views a lot like an animated version of an Adam Sandler movie: You have the silly but goofy protagonist, slapstick comedy and fart jokes, over-the-top sequences left and right. The difference is that it has the man-child of a comedian replaced by funny-looking characters, and is more kid-friendly. It is by no means a good film in terms of quality, but what caught me off guard is that it should have annoyed me to no end, but it actually didn’t. Honestly, it is a harmless little film. Sure I may not have laughed at most of the jokes, but I could imagine children doing so. It is a kids’ film, which is not to say that kids’ film cannot have depth, character or artistic value. But their main function, after all, is to entertain kids, not their custodians. Parents may find it difficult to sit through the 97 minutes, but their preschool children would have fun at the goofiness of Dracula, his family and the gang. Sometimes kids’ film are “Up,” “Toy Story 3” or “Inside Out.” Other times they’re just silly. But a lot of children like silly, and this is like that fool on the subway who constantly makes the stupidest faces, and your baby just can’t take eyes off him. 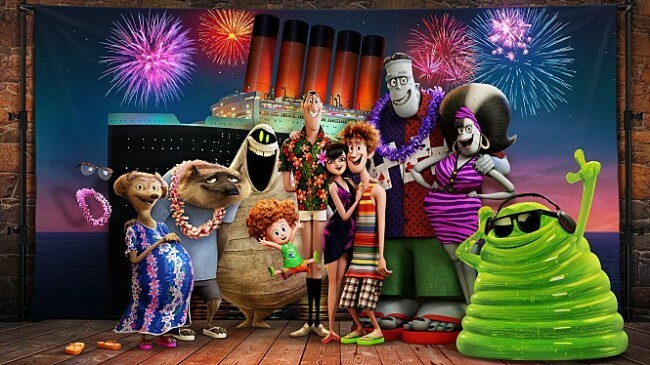 “Hotel Transylvania 3: A Monster Vacation” opens in local theaters on Aug. 8.